Thwaites Glacier, West Antarctica, has experienced rapid grounding line retreat and mass loss in the past decades. In this study, we simulate the evolution of Thwaites Glacier over the next century using different model configurations. Overall, we estimate a 5 mm contribution to global sea level rise from Thwaites Glacier in the next 30 years. However, a 300 % uncertainty is found over the next 100 years, ranging from 14 to 42 mm, depending on the model setup. Drifting snowstorms that are hundreds of meters in depth are reproduced using a large-eddy simulation model combined with a Lagrangian particle tracking method, which also exhibits obvious spatial structures following large-scale turbulent vortexes. The horizontal snow transport flux at high altitude, previously not observed, actually occupies a significant proportion of the total flux. Thus, previous models may largely underestimate the total mass flux and consequently snow sublimation. Calving is an important mechanism that controls the dynamics of Greenland outlet glaciers. We test and compare four calving laws and assess which calving law has better predictive abilities. Overall, the calving law based on von Mises stress is more satisfactory than other laws, but new parameterizations should be derived to better capture the detailed processes involved in calving. Snow insulates the ground from the cold air in the Arctic winter, majorly affecting permafrost. This insulation depends on snow characteristics and is poorly quantified. Here, we characterize it at a carbon-rich permafrost site, using a recent technique that retrieves the 3-D structure of snow and its thermal properties. We adapt a snowpack model enabling the simulation of this insulation over a whole winter. We estimate that local snow variations induce up to a 6 °C spread in soil temperatures. 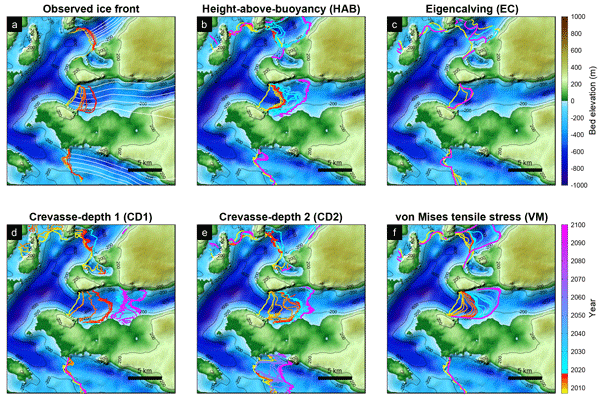 Computer models for the simulation of marine ice sheets (ice sheets resting on bedrock below sea level) historically show poor numerical convergence for grounding line (the boundary between grounded and floating parts of the ice sheet) movement. We have further characterised the nature of the numerical problems leading to poor convergence and highlighted implications for the design of computer experiments that test grounding line movement. Coarse-fragment soil on the Qinghai–Tibetan Plateau has different thermal and hydrological properties to soils commonly used in modeling studies. We took soil samples and measured their physical properties in a laboratory, which were used in a model to simulate their effects on permafrost dynamics. Model errors were reduced using the measured properties, in which porosity played an dominant role. Here, we apply a synthetic perturbation to the most active drainage basin of Antarctica and show that centennial mass loss projections obtained through ice flow models depend strongly on the implemented friction law, i.e. the mathematical relationship between basal drag and sliding velocities. In particular, the commonly-used Weertman law considerably underestimates the sea level contribution of this basin in comparison to two water pressure-dependent laws which rely on stronger physical basis. As the climate warms during the 21st century, our model shows extra melting at the top and the base of the Arctic sea ice. The reducing ice cover affects the impact these processes have on the sea ice volume budget, where the largest individual change is a reduction in the amount of growth at the base of existing ice. Using different forcing scenarios we show that, for this model, changes in the volume budget depend on the evolving ice area but not on the speed at which the ice area declines. 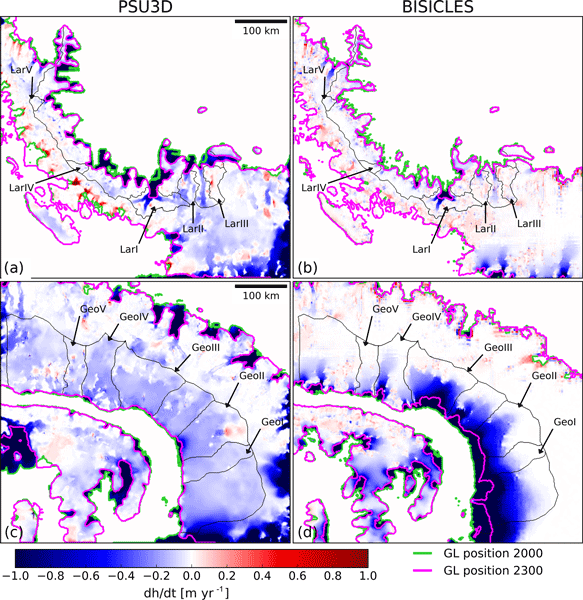 This paper uses sea ice thickness data (CryoSat-2) to identify and correct shortcomings in simulating winter ice growth in the widely used sea ice model CICE. Adding a model of snow drift and using a different scheme for calculating the ice conductivity improve model results. Sensitivity studies demonstrate that atmospheric winter conditions have little impact on winter ice growth, and the fate of Arctic summer sea ice is largely controlled by atmospheric conditions during the melting season. We used an ice sheet model to simulate temporary regrounding of a marine ice sheet retreating across a retrograde bedrock slope. We show that a sliding relation incorporating water-filled cavities and the ice overburden pressure at the base allows the temporary regrounding to occur. This suggests that choice of basal sliding relation can be important when modelling grounding line behaviour of regions where potential ice rises and pinning points are present and regrounding could occur. Despite the speculation on the state and fate of Larsen C Ice Shelf, a key unknown factor remains: what would be the effects of ice-shelf collapse on upstream drainage basins and thus global sea levels? In our paper three state-of-the-art numerical ice-sheet models were used to simulate the volume evolution of the inland ice sheet to ice-shelf collapse at Larsen C and George VI ice shelves. Our results suggest sea-level rise of up to ~ 4 mm for Larsen C ice shelf and ~ 22 for George VI ice shelf. Geophysical systems can often contain scientific parameters whose values are uncertain, complex underlying dynamics, and field measurements with errors. These components are naturally modeled together within what is known as a Bayesian hierarchical model (BHM). This paper constructs such a model for shallow glaciers based on an approximation of the underlying dynamics. The evaluation of this model is aided by the use of exact analytical solutions from the literature. In Afghanistan, almost no snow measurements exist. Operational estimates use measurements from satellites, but all have limitations. We have developed a satellite-based technique called reconstruction that accurately estimates the snowpack retrospectively. To solve the problem of estimating today's snowpack, we used machine learning, trained on our reconstructed snow estimates, using predictors that are available today. Our results show low errors, demonstrating the utility of this approach. In this study we apply a discrete element model capable of simulating ice fracturing. A microscopic-scale discrete process is applied in addition to a continuum ice dynamics model to investigate the mechanisms facilitated by basal meltwater production, surface meltwater and ice crack opening, for the surge in Basin 3, Austfonna ice cap. The discrete element model is used to locate the ice cracks that can penetrate though the full thickness of the glacier and deliver surface water to the bed. We model the summer acceleration of ice velocities at a land-terminating margin of the Greenland Ice Sheet. Model results compare favourably against GPS data, reflecting positively on the model components and the datasets used. When we run the model into the future, we find that summer velocities increase with increasing levels of surface melt but that changes in annual velocities may be limited. We combine in situ measurements and an ice flow model to study the thermomechanical features of Laohugou Glacier No. 12, the largest valley glacier on Qilian Shan. We reveal that this glacier, once considered to be extremely continental or cold, is actually polythermal with a lower temperate ice layer over a large region of the ablation area. Strain heating and latent heat due to meltwater refreezing in the firn zone play critical roles in controlling the thermal regime of this glacier. We present a detailed evaluation of the latest version of the regional climate model RACMO2.3p2 at 11 km resolution (1958–2016) over the Greenland ice sheet (GrIS). The model successfully reproduces the present-day climate and surface mass balance, i.e. snowfall minus meltwater run-off, of the GrIS compared to in situ observations. Since run-off from marginal narrow glaciers is poorly resolved at 11 km, further statistical downscaling to 1 km resolution is required for mass balance studies. We present global glacier volume projections for the end of this century, under a range of high-end climate change scenarios, defined as exceeding 2 degrees global average warming. The ice loss contribution to sea level rise for all glaciers excluding those on the peripheral of the Antarctic ice sheet is 215.2 ± 21.3 mm. Such large ice losses will have consequences for sea-level rise and for water supply in glacier-fed river systems. 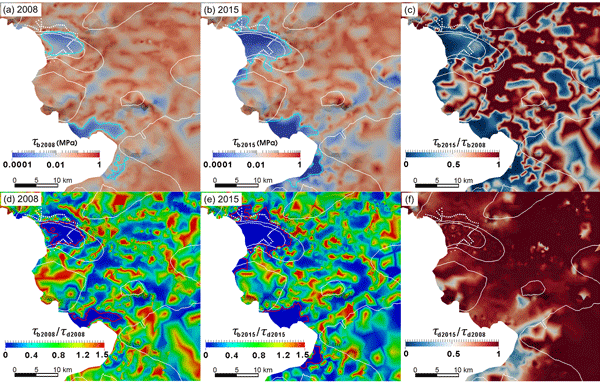 This study investigates the effect of geometrical properties on the stress state and flow regime in the vicinity of the calving front of grounded tidewater glaciers. Our analysis shows that the stress state for simple geometries can be determined solely by the water depth relative to ice thickness. This scaled relationship allows for a simple parametrization to predict calving rates of grounded tidewater glaciers that is simple, physics-based and in good agreement with observations. We develop a new ice sheet model and couple it to an existing subglacial hydrology model. A workflow for initializing the coupled model at the start of summer is proposed and demonstrated on the Russell Glacier area of Western Greenland. This is a first step towards modelling ice velocities during the summer. The buttressing effect of the floating ice shelves is diminished by the fracture process. We developed a continuum damage mechanics model component of the ice sheet model to simulate the process. The model is tested on an ideal marine ice sheet geometry. 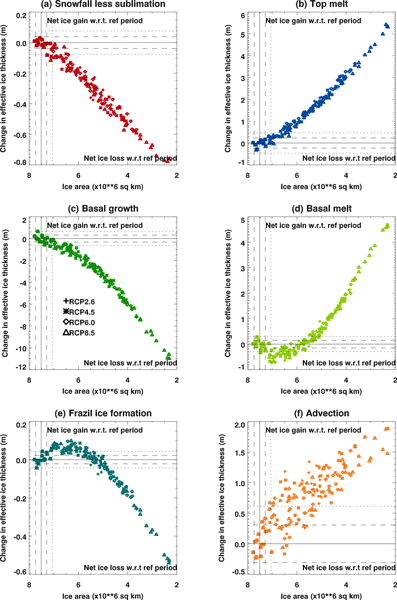 We find that behavior of the simulated marine ice sheet is sensitive to fracture processes on the ice shelf, and the stiffness of ice around the grounding line is essential to ice sheet evolution. Because of the importance of correctly quantifying the future contribution of the Greenland ice sheet (GrIS) to sea-level rise in response to atmospheric changes, the authors, have implemented for the first time a full representation of the feedbacks between a GrIS and a regional atmospheric model. Face to the strong impact on the projected sea-level rise, they highlight the fundamental need for representing the GrIS topography change feedbacks with respect to the atmospheric component. The Shirase Glacier in Antarctica is studied by means of a computer model. This model implements two physical approaches to represent the glacier flow dynamics. This study finds that it is important to use the more precise and sophisticated method in order to better understand and predict the evolution of fast flowing glaciers. This may be important to more accurately predict the sea level change due to global warming. For the large majority of glaciers and ice caps, there is no information on the thickness of the ice cover. Any attempt to predict glacier demise under climatic warming and to estimate the future contribution to sea-level rise is limited as long as the glacier thickness is not well constrained. Here, we present a two-step mass-conservation approach for mapping ice thickness. Measurements are naturally reproduced. The reliability is readily assessible from a complementary map of error estimates. 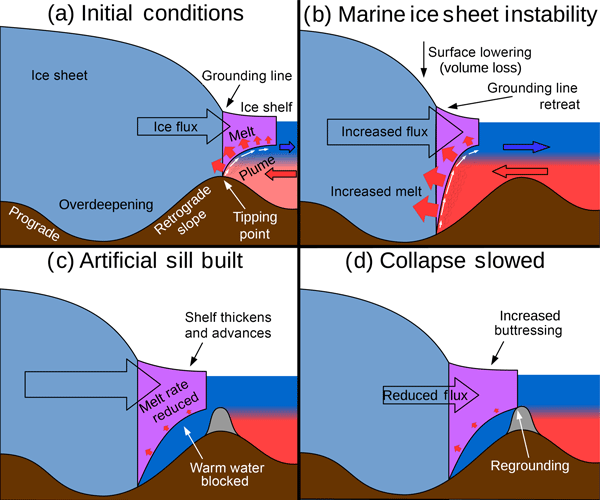 Marine Ice Sheet Instability is a mechanism that can potentially lead to collapse of marine sectors of the Antarctic ice sheet and floating ice shelves play a crucial role herein. Improved grounding line physics (interaction with subglacial sediment) are implemented in a new ice-sheet model and compared to traditional sliding laws. Ice shelf collapse leads to a significant higher sea-level contribution (up to 15 m in 500 years) compared to traditional grounding-line approaches. 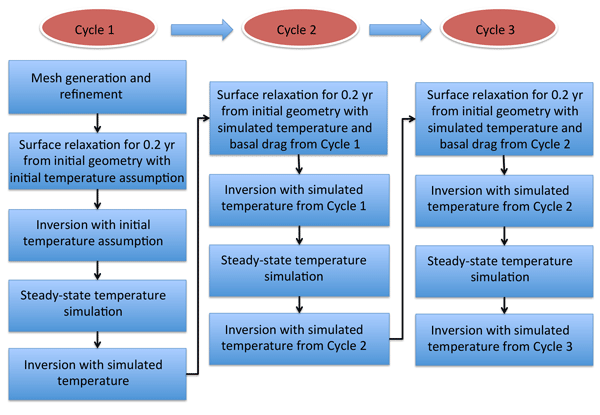 Two approaches to ice-sheet modeling are available. Analytical modeling is the traditional approach. It solves the force (momentum), mass, and energy balances to obtain three-dimensional solutions over time. Geometrical modeling employs simple geometry to solve the force and mass balance in one dimension along ice flow. It is useful primarily to provide the first-order physical basis of ice-sheet modeling for students with little background in mathematics. The two approaches are compared. The results shown in the present paper consist in predicting the overall viscous behavior of snow from the sole knowledge of the microstructure and the ice viscous behavior. This is done thanks to multi-scale modeling techniques and an original approach is used to handle the nonlinearity of the ice behavior. An application of the developed formulation can be found in the simulation of the densification of the snowpack in order to enhance avalanche risk forecasting. We combine 2-D ice flow model with linear elastic fracture mechanics (LEFM) to model the calving behavior of Thwaites Glacier, West Antarctica. We find the combination of full-Stokes (FS) model and LEFM produces crevasses that are consistent with observations. We also find that calving is enhanced with pre-existing surface crevasses, shorter ice shelves or undercut at the ice shelf front. We conclude that the FS/LEFM combination is capable of constraining crevasse formation and iceberg calving. 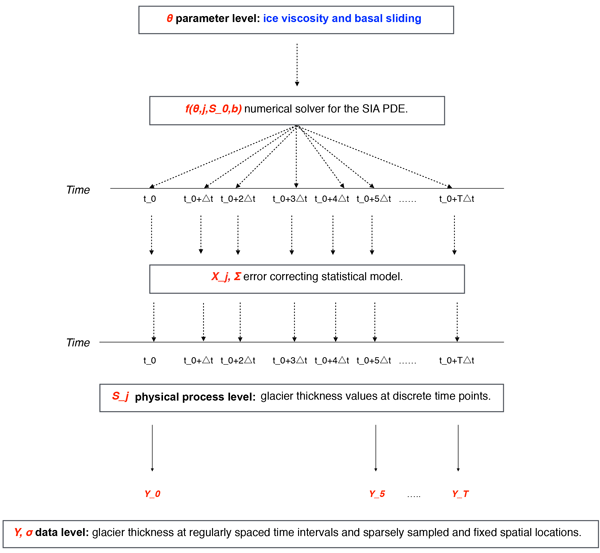 ITMIX – the Ice Thickness Models Intercomparison eXperiment – was the first coordinated performance assessment for models inferring glacier ice thickness from surface characteristics. Considering 17 different models and 21 different test cases, we show that although solutions of individual models can differ considerably, an ensemble average can yield uncertainties in the order of 10 &pm; 24 % the mean ice thickness. Ways forward for improving such estimates are sketched. Computer models are used to simulate the behaviour of glaciers and ice sheets. It has been found that such models are required to be run at very high resolution (which means high computational expense) in order to accurately represent the evolution of marine ice sheets (ice sheets resting on bedrock below sea level), in certain situations which depend on sub-glacial physical processes. 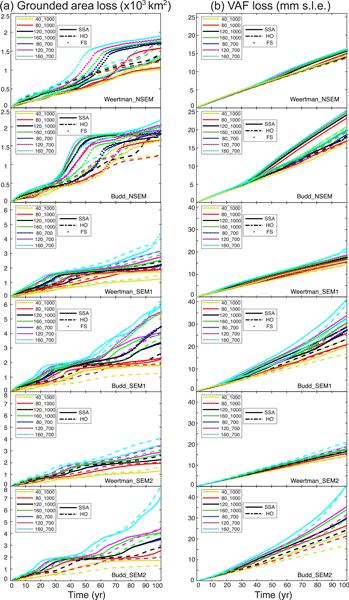 Stokes-flow models are the highest-fidelity representation of the equations governing ice sheet flow and they are often treated as the standard against which other models are compared in model benchmark activities. We compare two different Stokes models applied to a canonical set of idealized marine ice sheet experiments and demonstrate that the solutions converge with increasing grid resolution. This provides confidence in the use of Stokes models for generating test case solution metrics. Global sea level rise prediction is a pressing and unresolved problem, one whose solution depends upon glaciologists better predicting ice sheet shrinkage due to iceberg calving. We present a numerical model that is capable of simulating ice flow and breakage that leads to iceberg calving and find that a material property that captures both the fluid- and solid-like behavior of ice simultaneously is a necessary condition for studying areas of glaciers in contact with ocean water prone to calve. How glaciers or ice sheets flow is a result of microscopic processes controlled by the properties of individual ice crystals. We performed computer simulations on these processes and the effect of air bubbles between crystals. The simulations show that small-scale ice deformation is locally stronger than in other regions, which is enhanced by bubbles. This causes the ice crystals to recrystallise and change their properties in a way that potentially also affects the large-scale flow properties. We estimated the formation of new sea ice within polynyas in the Laptev Sea (Siberia) with the regional climate model COSMO-CLM at 5 km horizontal resolution. Fractional sea ice and the representation of thin ice is often neglected in atmospheric models. Our study demonstrates, however, that the way thin ice in polynyas is represented in the model considerably affects the amount of newly formed sea-ice and the air–ice–ocean heat flux. Both processes impact the Arctic sea-ice budget. Bryophyte and lichen cover on the forest floor at high latitudes insulates the ground and thus decreases soil temperature. This can protect permafrost soil, stabilising it against global warming. To quantify the insulating effect, we integrate a novel, process-based model of bryophyte and lichen growth into the global land surface model JSBACH. We find an average cooling effect of the bryophyte and lichen cover of 2.7 K, which implies a significant impact on soil temperature at high latitudes. We analyze how snowpack processes and soil properties impact the soil temperature profiles over northern Eurasian regions using a land surface model. A correct representation of snow compaction is critical in winter while snow albedo is dominant in spring. In summer, soil temperature is more affected by soil organic carbon content, which strongly influences the maximum thaw depth in permafrost regions. 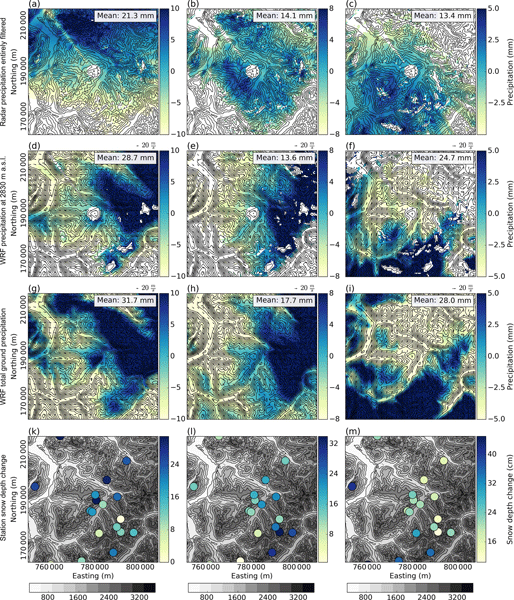 This work was done to improve the representation of boreal region processes in climate models. We use a numerical model based on approximated ice flow physics and calibrated against field-based evidence to present numerical simulations of multiple advance and retreat phases of the former Cordilleran ice sheet in North America during the last glacial cycle (120 000 to 0 years before present). We use a regional 3-D outlet glacier model to simulate the behaviour of Jakobshavn Isbræ (JI) during 1990–2014. The model simulates two major accelerations in 1998 and 2003 that are consistent with observations. We find that most of the JI retreat during the simulated period is driven by the ocean parametrization used, and the glacier's subsequent response, which is largely governed by bed geometry. 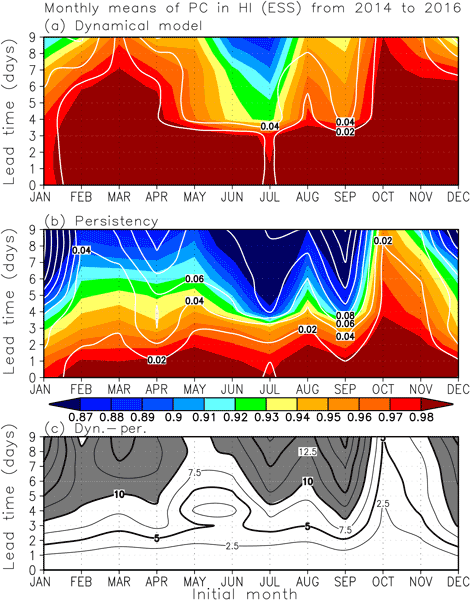 The study shows progress in modelling the temporal variability of the flow at JI. We implemented a level-set method in the ice sheet system model. This method allows us to dynamically evolve a calving front subject to user-defined calving rates. We apply the method to Jakobshavn Isbræ, West Greenland, and study its response to calving rate perturbations. We find its behaviour strongly dependent on the calving rate, which was to be expected. Both reduced basal drag and rheological shear margin weakening sustain the acceleration of this dynamic outlet glacier. 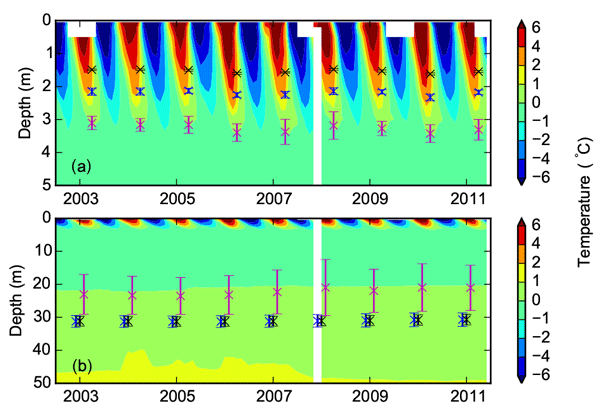 Bartholomew, I., Nienow, P., Mair, D., Hubbard, A., King, M. A., and Sole, A.: Seasonal evolution of subglacial drainage and acceleration in a Greenland outlet glacier, Nat. Geosci., 3, 408–411, 2010. Benn, D., Gulley, J., Luckman, A., Adamek, A., and Glowacki, P. S.: Englacial drainage systems formed by hydrologically driven crevasse propagation, J. Glaciol., 55, 513–523, 2009. Björnsson, H.: Understanding jökulhlaups: from tale to theory, J. Glaciol., 56, 1002–1010, 2010. Bungartz, H. J.: Fluid Structure Interaction II: Modelling, Simulation, Optimization, Lecture Notes in Computational Science and Engineering, Springer, Berlin Heidelberg, Germany, 2010. Clarke, G. K. C.: Hydraulics of subglacial outburst floods: new insights from the Spring-Hutter formulation, J. Glaciol., 49, 299–313, 2003. Courant, R., Friedrichs, K., and Lewy, H.: Über die partiellen Differenzengleichungen der mathematischen Physik, Math. Ann., 100, 32–74, 1928. Creyts, T. T. and Schoof. C. G.: Drainage through subglacial water sheets, J. Geophys. Res., 114, F04008, https://doi.org/10.1029/2008JF001215, 2009. Cuffey, K. M. and Paterson, W. S. B.: The Physics of Glaciers, Elsevier Butterworth-Heinemann, 4 Edn., Burlington, USA, 2010. 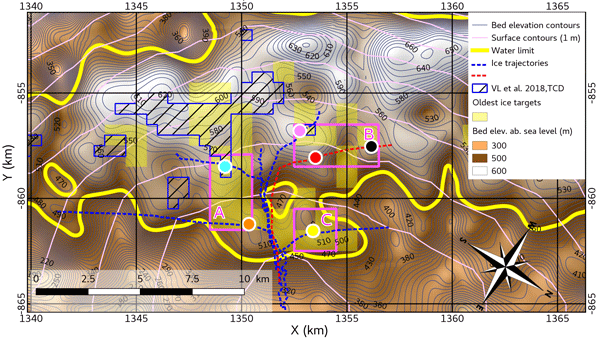 Cutler, P. M.: Modelling the evolution of subglacial tunnels due to varying water input, J. Glaciol., 44, 485–497, 1998. Flowers, G. E. and Clarke, G. K. C.: A multicomponent coupled model of glacier hydrology, 1, Theory and synthetic examples, J. Geophys. Res., 107, 2287, https://doi.org/10.1029/2001JB001122, 2002. Fountain, A. G. and Walder, J. S.: Water flow through temperate glaciers, Rev. Geophys., 36, 299–328, 1998. Gauckler, P. G.: Etudes Théoriques et Pratiques sur l'Ecoulement et le Mouvement des Eaux, Tech. rep., Comptes Rendues de l'Académie des Sciences, Paris, France, 1867. 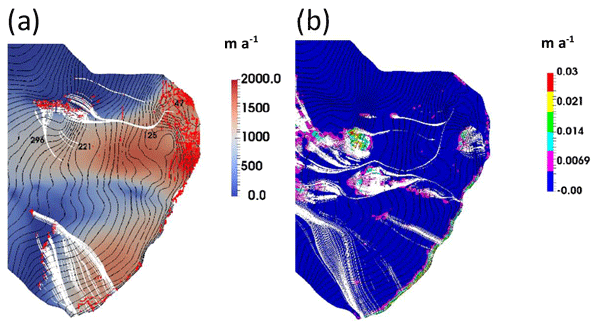 Gioia, G. and Bombardelli, F. A.: Scaling and similarity in rough channel flows, Phys. Rev. Lett., 88, 1–4, https://doi.org/10.1103/PhysRevLett.88.014501, 2002. Glen, J. W.: The creep of polycrystalline ice, P. Roy. Soc. A-Math. Phy., 228, 519–538, https://doi.org/10.1098/rspa.1955.0066, 1955. Gudmundsson, M. T., Sigmundsson, F., Björnsson, H., and Högnadóttir, T.: The 1996 eruption at Gjálp, Vatnajökull ice cap, Iceland: efficiency of heat transfer, ice deformation and subglacial water pressure, B. Volcanol., 66, 46–65, https://doi.org/10.1007/s00445-003-0295-9, 2004. 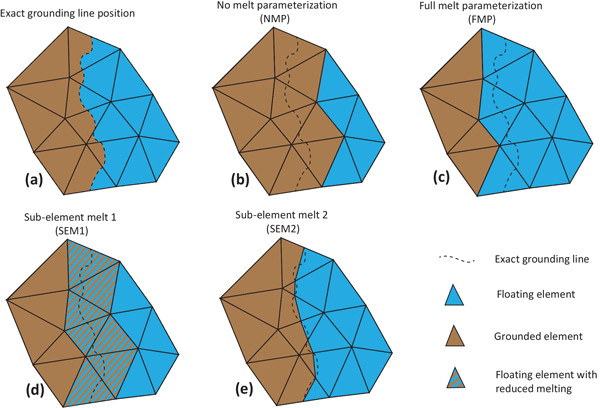 Gulley, J., Benn, D., Müller, D., and Luckman, A.: A cut-and-closure origin for englacial conduits in uncrevassed regions of polythermal glaciers, J. Glaciol., 55, 66–80, https://doi.org/10.3189/002214309788608930, 2009. Isenko, E., Naruse, R., and Mavlyudov, B.: Water temperature in englacial and supraglacial channels: change along the flow and contribution to ice melting on the channel wall, Cold Reg. Sci. Technol., 42, 53–62, https://doi.org/10.1016/j.coldregions.2004.12.003, 2005. Jarosch, A. H.: Icetools: a full Stokes finite element model for glaciers, Comput. Geosci., 34, 1005–1014, https://doi.org/10.1016/j.cageo.2007.06.012, 2008. Knighton, A. D.: Channel form and flow characteristics of supraglacial streams, Austre Okstindbreen, Norway, Arctic Alpine Res., 13, 295–306, 1981. Lamé, G. and Clapeyron, B. D.: Mémoire sur la solidification par refroidissement d'un globe liquide, Ann. Chim. Phys., 47, 250–256, 1831. Lunardini, V. J., Zisson, J. R., and Yen, Y. C.: Experimental determination of heat transfer coefficients in water flowing over a horizontal ice sheet, Tech. rep., Cold Region Research and Engineering Laboratory, Hanover, 1986. Manning, R.: On the flow of water in open channels and pipes, Transactions of the Institution of Civil Engineers of Ireland, ICE Transactions, 20, 161–207, 1891. Marston, R.: Supraglacial stream dynamics on the Juneau Icefield, Ann. Assoc. Am. Geogr., 73, 597–608, 1983. Ng, F. S. L.: Mathematical Modelling of Subglacial Drainage and Erosion, PhD. Thesis, University of Oxford, Oxford, 1998. Nye, J. F.: The distribution of stress and velocity in glaciers and ice-sheets, P. Roy. Soc. A-Math. Phy., 239, 113–133, 1957. Nye, J. F.: Water flow in glaciers: jökulhlaups, tunnels and veins, J. Glaciol., 17, 181–207, 1976. Raymond, C. F. and Nolan, M.: Drainage of a glacial lake through an ice spillway, in: IAHS PUBLICATION, edited by: Nakawo, M., Raymond, C. F., and Fountain, A., no. 264 in IAHS Publication, International Association of Hydrological Sciences, 199–210, Washington, USA, 2000. Röthlisberger, H.: Water pressure in intra-and subglacial channels, J. Glaciol., 11, 177–203, 1972. 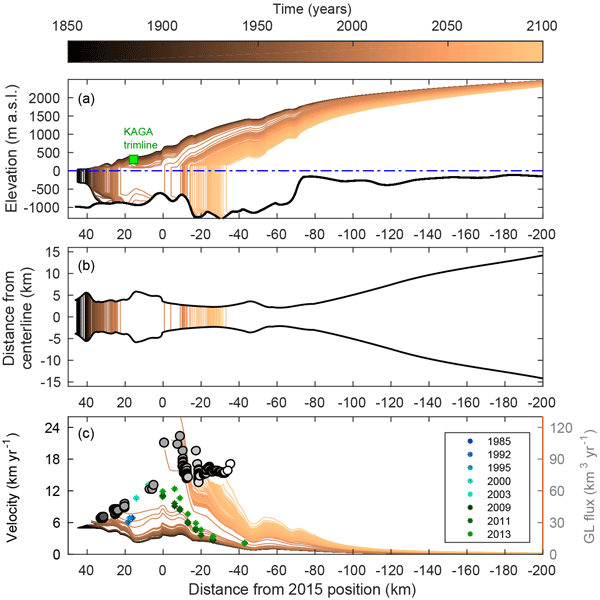 Schoof, C.: Ice sheet acceleration driven by melt supply variability, Nature, 468, 803–806, https://doi.org/10.1038/nature09618, 2010. Shreve, R.: Movement of water in glaciers, J. Glaciol., 11, 205–214, 1972. Smellie, J.: The relative importance of supraglacial versus subglacial meltwater escape in basaltic subglacial tuya eruptions: an important unresolved conundrum, Earth-Sci. Rev., 74, 241–268, https://doi.org/10.1016/j.earscirev.2005.09.004, 2006. Stefan, J.: Über die Theorie der Eisbildung, insbesondere über die Eisbildung in Polarmeere, Ann. Phys., 278, 269–286, https://doi.org/10.1002/andp.18912780206, 1891. Walder, J. S.: Röthlisberger channel theory: its origins and consequences, J. Glaciol., 56, 1079–1086, 2010. Zienkiewicz, O. C., Taylor, R. L., and Zhu, J. Z.: The finite element method: its basis and fundamentals, The Finite Element Method, Elsevier Butterworth-Heinemann, 6 Edn., Oxford, UK, 2005. Zwally, H. J., Abdalati, W., Herring, T., Larson, K., Saba, J., and Steffen, K.: Surface-melt induced acceleration of Greenland ice-sheet flow, Science, 5579, 218–222, 2002.